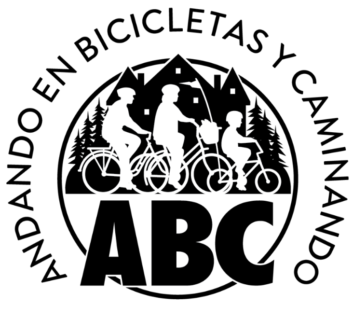 ABC – “Andando en Bicicletas y Caminando” (Riding your Bike and Walking Around) was founded by the Latinx community over a decade ago, originally ABC stood for “Andando en Bicicletas en Cully” in reference to the Cully neighborhood in Northeast Portland, Oregon. The mission remains the same for ABC. In 2010, we began working with a group of Hacienda residents to organize events and programs to promote bicycling. This group of organizers calls themselves Andando en Bicicletas en Cully (ABC), which translates to “Riding Bikes in Cully.” The major focus of ABC’s work is to create community by hosting bike rides, advocating for bicycle storage and safe routes to school, and providing basic bicycle maintenance and training to friends and neighbors. Check out ABC’s Facebook page! Hacienda Community Development Corporation in northeast Portland strengthens Latino and other immigrant families by providing affordable housing and economic and educational opportunities. 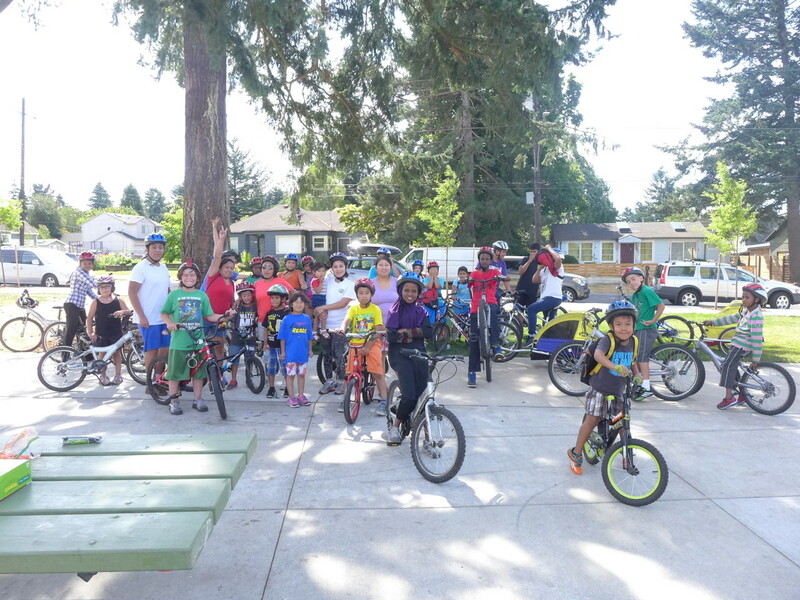 The conversation began in 2011 when residents, Community Cycling Center staff, and property management at Hacienda CDC conducted an audit of their housing site to assess the existing amenities that promote or inhibit healthy eating and active living. These assessments contributed to a set of recommendations and policy changes to improve environmental conditions for people living in affordable housing units. As a result of the audit and ABC’s advocacy efforts, they prioritized the need for bike storage. Safe bike storage is a not a barrier unique to Hacienda; many affordable housing communities prohibit residents from storing bikes inside their homes or on porches. Now, residents finally have a safe place to store their bikes in two of Hacienda’s buildings. In the future, ABC will continue to prioritize safe bicycle storage for all of Hacienda’s buildings.